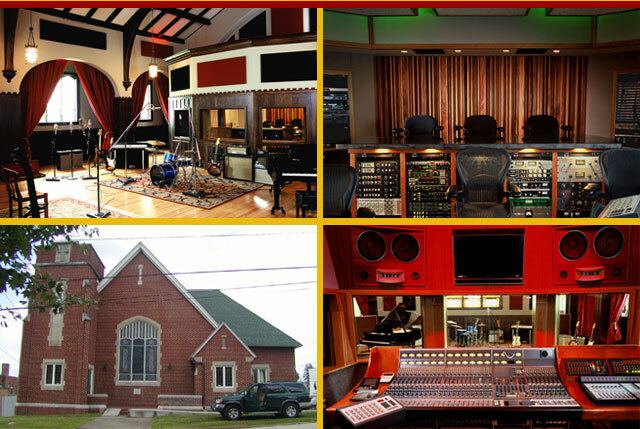 This adaptive-reuse project involved converting a 1928 church into a state-of-the-art recording studio. We worked with an acoustical consultant in the selection of materials and specific construction details to assure the best sound quality. Oak paneled doors and original windows were soundproofed and decorative woodwork was replicated to maintain the historic character. In addition to the studio, control room and isolation rooms, support spaces include a lounge, kitchen and tech room. The project received a Griffin Award for Excellence in Preservation.